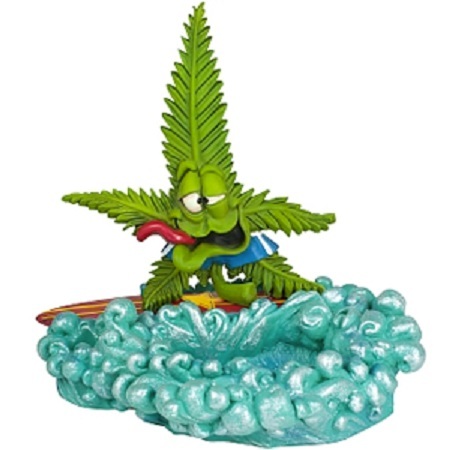 Cannabuds Surfer Dude Ashtray: This small green Cannabud hangs with you while you smoke. Cannabuds Surfer Dude Ashtray: This small green Cannabud hangs with you while you smoke. In comparison, with this Cannabud you will seem almost sober. These large, highly detailed ashtrays are made of compound heat of poly-resin that makes them durable and easy to clean.